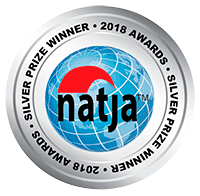 We were recently nominated for a Liebster Award! Quite honestly, when we were first told about receiving the award, we had no idea what it was. But it didn’t take long to learn that receiving a Liebster Award is a very cool honor in part because it is bestowed on you by your peers. This award has been given away to bloggers by other bloggers since 2011. 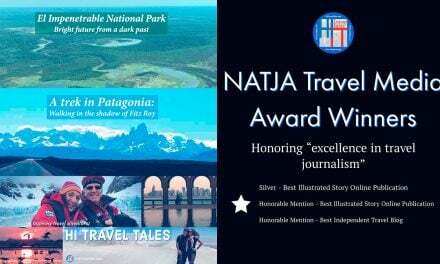 Its intent is to acknowledge the hard work and contributions up-and-coming websites have made to the travel blogging community, as well as show support to fellow bloggers. The word “Liebster” in German means the sweetest, kindest, dearest, lovely, valued – that kind of “dearest” thing. HITravelTales.com was nominated by Josh and Sarah at Veggie Vagabonds. They launched their travel blog in 2017 and hit the ground running with an appetite (pun intended) for travel and for discovering cultures and cuisines around the world. They aim to prove that being vegan by no means limits their travel experiences, but in fact enhances it. Plus, the blog serves as a platform to show others about adopting what they believe is a more sustainable lifestyle. Vegan or not, you will love their blog… We know we do. Part of your job in receiving the award is to “pass on” the Liebster love. To do that, you name one of your favorite travel websites and answer a serious of questions. So, drum roll please…. 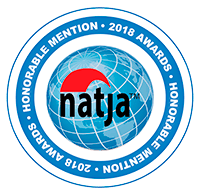 Matt Long’s tagline is “not your ordinary travel site,” and it is a statement we ourselves have certainly taken to heart as we’ve grown our own website and blog in 2017 and now into 2018. Matt is like many travel lovers and readers of travel blogs and websites: He has a house and dogs i.e. obligations beyond traveling. And yet he travels full-time, as a profession, and his posts and photographs share that desire to help everyone discover that travel can be fun, accessible and adventurous. Okay, on to Josh and Sarah’s questions for us! DSLR camera, a notebook, and a smartphone. Personal, human interactions are what make travel for us, not “grand sights and vistas,” although those are memorable too. A decade ago we were on a bike tour in Croatia and had a few hours off to explore the hills of the walled city we were in. We spied what seemed like a trail up the mountain so off we went. Part way above the main town along the wall, there seemed to be these rock shacks, half-crumbling, and we heard a voice, so we peeked over a stone wall and saw an elderly woman, dressed in traditional garb with scarf. She motioned us into her little courtyard, but quickly discovered she did not speak any English and Croatian was not in our bag of tricks! Therese asked if she spoke German or French, since she speaks both, and it turns out the woman DID know some German! So we spent an hour with her, touring her garden, looking at her hut, her plants, and listening to her stories about how all of her family left the country after the war, and she has no one there anymore. She showed us how she has to fetch water from a well and carry it to her living quarters. She wrung her hands and expressed her sorrow about the state of affairs. She looked so sad. Finally, we bid adieu and she hugged us and smiled for the first time. We walked away wondering what would happen to her and were thrilled to have given her some company for a short time. What do you think you need to consider when traveling? That you are always the guest, you are the visitor, to any city, place, country, culture, lifestyle, etc. Work to blend in, not stand out. Observe how the locals act and speak and do the same. Seek to understand rather than judge. What do you think are the benefits of a vegan lifestyle? Well, this one is tough for us to answer as we live a decidedly omnivorous lifestyle. We love meat, grains, fruits and vegetables. In short, we love food, especially discovering and experiencing local cuisine and specialties. We do try to eat local foods and we also fully support more sustainable farming practices worldwide. Favorite meal you’ve had abroad? There have been many memorable meals, some quite decadent in fact. Interestingly, it is one quite simple meal that remains etched in our memories: a meal of salad, olives, bread and grilled octopus, with the octopus fresh off the boat. We were sitting in a little restaurant on a dock in a harbor on one of the many Greek islands during a bike and hike cruise many years ago where we drank a simple house wine while waiting. We still talk about that meal. Top tip for first time travel? Pack patience and a sense of humor into your suitcase and carry-on, because no matter how much you plan, or how experienced you are, travel will always include the unexpected, the unplanned, the unimagined, sometimes joyous, sometimes frustrating. The act of travel can be difficult. Patience helps to smooth the bumps, hiccups and diversions you will experience along the journey. And a sense of humor helps you get along with your travel companions and all those around you who are not responsible for any of those frustrating hurdles. What’s the first thing you do when you get home after a long period abroad? Wander around the house and smile. Wander through the garden and smell the flowers. Travel is wonderful, but coming home is indescribably delicious. Feeling the dirt on your hands in the garden is real life. Of course, the second thing we do is unpack and start laundry! And the third? Start dreaming of where we will travel to next! Ahh, so you want the impossible then? We would seek to eliminate judgment, anger and polarization, and to instill the idea that no matter what your color, race, gender, religion, culture, language, looks or beliefs, we are one human race, all equal, and all in need of each other’s support and deserving of each other’s respect and care. What is the ethos behind your blog? That as travel writers, photographers, videographers, storytellers, our first job is to listen, learn and understand, and then to share. We absorb and immerse ourselves in experiences and cultures. We are not predisposed to what we will see and experience, but always leave ourselves open to discovery around the corner. We avoid just “checking off” a place to post a superficial story and highly HDR-ed photo to say we’ve been there and pad the Instagram feed. We always seek the new, the unusual, the different,…even in the more common experiences and at the more visited destinations. If you could you could pick 3 songs as the soundtrack to your life, what would they be? 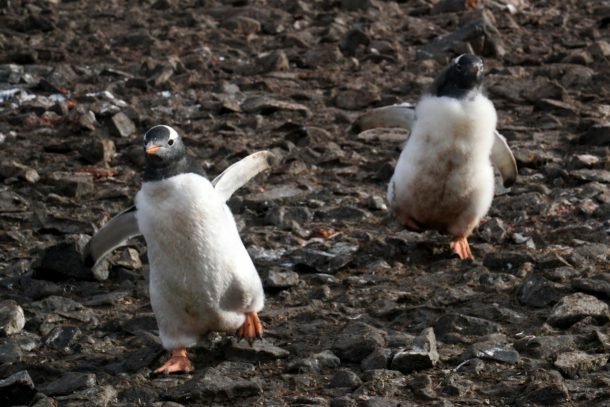 We participate in a numerous online travel groups and blogging hangouts, so we’re constantly stumbling across new (some not so new but new to us) and very cool travel websites. There are just so many deserving of being recognized, it is hard to call out just a few, but, in the interest of time and space, here are our nominations for a Liebster Award in 2018. Congratulations to each of you. Would you rather see a lot of places or get to know one really well and why? What is the best souvenir you bought or have been given? What is one item you often pack, but rarely or never use? Which electronic gadgets (camera, smartphone, tablet, etc.) do you typically travel with? You just invented time travel. Where will you travel to first and why? How do you prefer to spend your time on a long flight? What advice would you give yourself now before your first trip abroad way back then? What travel apps are your favorites and why? How do you help your readers become more sustainable travelers? Display the award on your blog — by including it in your post and/or displaying it somewhere on your blog. Write a 150-300-word post about your favorite blog (that is not your own). Explain why you like the blog and provide links. Respond to the questions provided by the blogger who nominated you for the award. 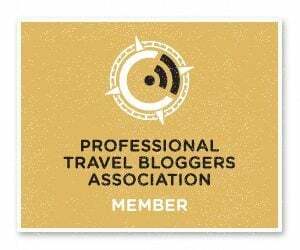 Nominate 5-11 travel blogs that you feel deserve the award. Ask nominees 10 questions you would like them to answer. 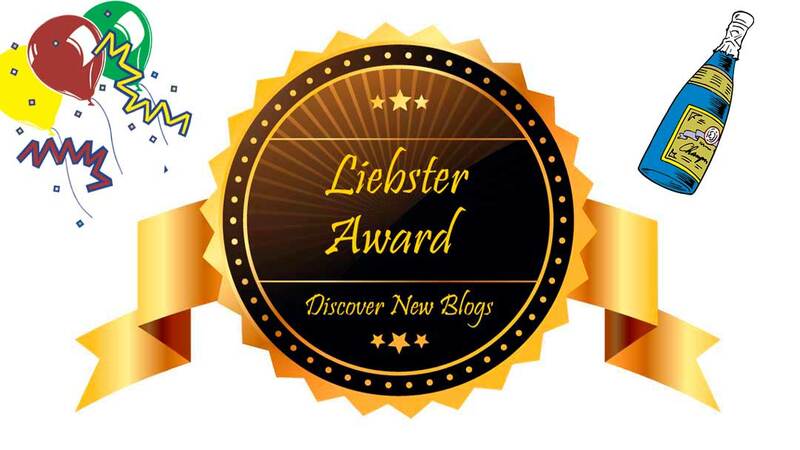 About Us We were just nominated for a Liebster Award!